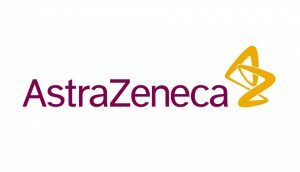 AstraZeneca has announced that they have entered into a strategic partnership with US biopharmaceutical group Regulus Therapeutics to discover, develop, and commercialise microRNA therapeutics. The Anglo-Swedish drug giant has agreed to pay $28 million, which includes an equity investment and an upfront fee, so they can exclusively work with Regulus on the development of three preclinical targets concentrating on cardiovascular and metabolic diseases and oncology. As part of the agreement, Regulus will lead preclinical activities of the three chosen microRNA targets, including their lead cardiovascular/metabolic disease program targeting microRNA-33 for the treatment of atherosclerosis, and could possibly obtain associated milestone payments, while AstraZeneca will lead and fund their clinical development and commercialisation. As part of the conditions of the partnership, Regulus is also set to obtain further clinical, launch, and commercial milestone payments for the successful development of microRNA therapies in each target area, in addition to sales-based royalties. “MicroRNA therapeutics have the potential to open up innovative and important treatment options for patients and AstraZeneca is pleased to collaborate with Regulus in this new and exciting area,” Olsson added.